“Baby laugh ha ha ha” ringtone – Just the name is enough to make us laugh and recall the joy of the baby laugh: innocent smile and how happy. If your family has children, no matter how busy or hard you work, just hear their clear laughter, surely your troubles will be dispelled. What if your family does not have children? Also okay, visit Iringtones right now to hear – download – and install for yourself not only “Baby laugh ha ha ha” ringtone for the phone, but also many other lovely sounds of the other kids have been given them. 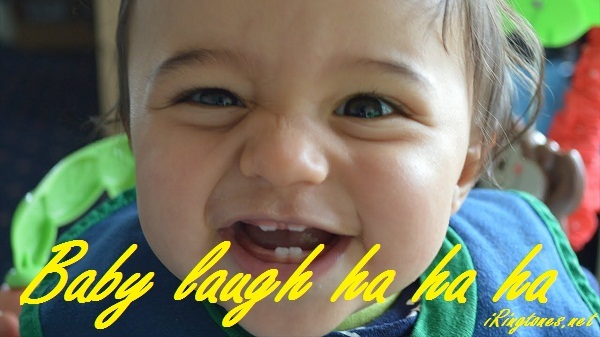 I synthesized in: “Funny Baby Laughing Ringtones That Can Make Your Day Better Instantly“. Click to see more and download for free!